The Solar Plexus chakra is the control center for willpower, identity, and independence. An imbalanced Solar Plexus chakra, either blocked or overactive, can have harmful effects on your daily interactions. What Does the Solar Plexus Control? The Solar Plexus chakra is located roughly around your diaphragm. The color usually associated with it is yellow and its element is fire. The Solar Plexus chakra controls a lot of qualities associated with decision-making and therefore identity. These include personal power, responsibility, beliefs, confidence, and self-discipline. The Solar Plexus chakra has a lot of transformative power, in that it takes energy from your surroundings and converts it into energy you can use for your mind and body. The Solar Plexus chakra is responsible for filtering what you are exposed to and internalizing it, which is why it affects your personality so much. Your ability to assess situations and extract positive or negative thoughts from them is all based in this important chakra. This also affects your ability to follow through with plans. The Solar Plexus chakra provides the momentum you need to propel yourself forward. With a balanced Solar Plexus chakra, you will be able to act on your desires and actively influence your life and satisfaction. By finding your balance, your sense of identity will be strengthened as you embark on a life filled with meaningful decisions. Do You Have an Imbalanced Chakra? The biggest effect of an imbalanced Solar Plexus chakra is a problem with self-esteem and self-image. A sign of a balanced chakra would be confidence and therefore assertiveness and drive. An imbalanced chakra would manifest itself as a lack of motivation or direction. Some other signs of imbalance include an excessive need for control or, alternatively, feeling helpless. Due to a lack of control over your life, you may experience an unhealthy obsession with details and therefore losing sight of the bigger picture. Frustrations caused by an imbalanced chakra could lead you to over-assert yourself in harmful and manipulative ways. This is undesirable for you and the people around you. Finally, people with imbalanced Solar Plexus chakras tend to have no plan and therefore cannot follow through with their goals. Laziness, fatigue, and anxiety, are all common symptoms of an imbalanced chakra. This enhances the previously discussed negative effects even further, leading to a vicious cycle of feeling aimless and unfulfilled. If you are feeling stuck and you think your Solar Plexus chakra is to blame, there are still different practices you can follow to get your chakras back on track. Rebalancing takes time and practice, so make sure you stick to a plan. For people with an imbalanced Solar Plexus chakra, it is easy to get overwhelmed by information while formulating a plan. In the following paragraphs, your various options are broken down to make it easier for you to rebalance. To begin, since the color associated with this chakra is yellow, incorporating yellow foods into your diet can begin the healing process. Foods that can help include bananas, sunflower seeds, and cheese. Some spices you can bring into your routine are ginger, mint, and cumin. Meditation is another way to balance your Solar Plexus chakra along with many of your other chakras. For Solar Plexus-specific meditation, however, envision a yellow sunflower while meditating. You can use stones while meditating to enhance your experience. Some yellow stones include citrine, amber, and tiger’s eye. Aromatherapy is also effective for healing. This can be combined with the meditation described above. Scents that are citrusy tend to be the best for the Solar Plexus chakra. Yoga is a significant part of healing, but some positions are better for the Solar Plexus than others. 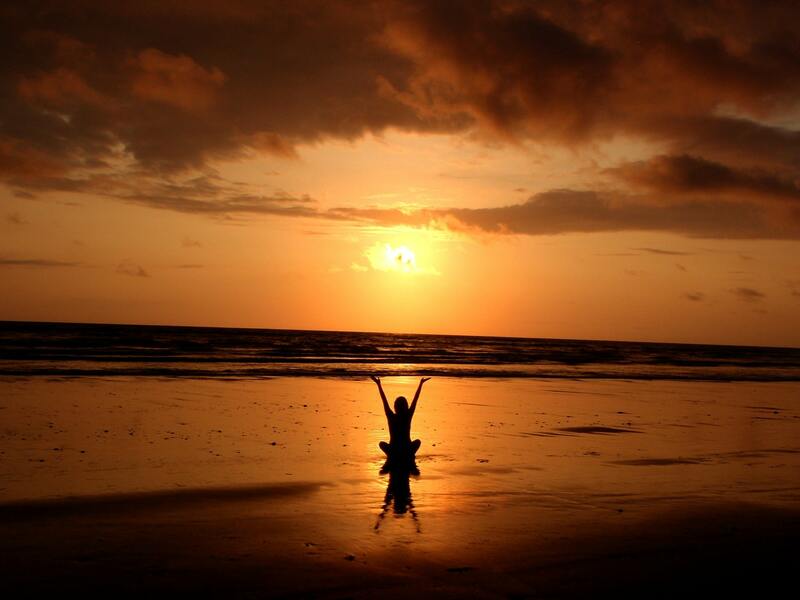 Asanas, like the Warrior Pose, held for a few minutes in the morning will help open up your Solar Plexus chakra. Any poses that focus on strengthening the core will help this chakra and keep you rooted while you heal. The last and perhaps most obvious way to heal your Solar Plexus chakra is by simply going outside. The chakra is associated with fire and the sun, so exposure to the sun through walking or sunbathing will only help your healing. Overall, the Solar Plexus chakra is important for people who are having issues with their identity and following through on their goals. There are very simple ways to being the healing process, however, so a brighter future is within reach.